Some of you are superstars when it comes to promoting yourselves! You thrive in it and look forward to it. Then there are some of you who struggle even to put a blog out, because you are too shy, let alone market your services on various platforms. What to do? What to do? There might be a few things that can be done to ease your way into it. However, just know (speaking for myself) you have to dive into getting over shyness. Whether it is jumping into doing BIG things or taking little steps consistently, you just have to do it. Now, let’s ease into this. Start sending out emails about your business updates to a close group of friends. Sometimes you just need the validation from the people you love the most. So, start sharing more about what you’re doing with friends through email. Then amp it up a little bit and post about your business on your personal social media accounts. It brings out your business into a bigger space, but still mostly for the eyes of those you know, to see. On the other hand, some of you might be too shy to market yourselves amongst those closest to you. Depending on the people you have in your lives, maybe you don’t want them to know too much and I get that. Get involved in more networking events. Join a meetup. Do something where meeting people and introducing your business is acceptable. Let’s step it up a notch now. You don’t need to do all the social media platforms. You can start with one. Be active on a Facebook Business Page. Branch out and get followers. When you start getting followers, try going Live! You don’t have to “sell” your services. You can start teaching something that would be valuable and in the most indirect way, guess what you’re doing? You’re marketing your services without an ounce of being salesy. I personally LOVE Facebook groups, because most of the time they are warm and friendly. People freely interact with each other and share helpful information that can help everyone. When you’re consistent in contributing, you never know what kind of business “attention” you could drum up. You never know who will try and find you to utilize your services! If you feel your shyness goes a little too deep, did you know there are confidence coaches? There are some who even specialize in that within the business realm. They would be able to coach you in marketing, in a way that is suitable for where you’re at. 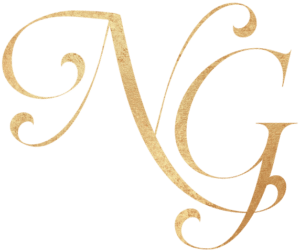 Guest posting is terrific on so many levels! You get to share your knowledge and experience in a way that is teachable and really — no hard marketing of yourself. Honestly, your knowledge shared is one of the greatest marketing tools you could ever use! Not only that, guest posting is the tool that keeps marketing for you day in and day out. If you do it right (placing an opt-in link in your bio), you could be getting new leads signing up while you sleep. 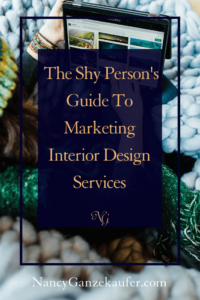 See, being shy should never keep you away from being more visible and expanding your business. You don’t have to dive into all the realms of marketing. You choose one a month and work hard on that one before you know it, your shyness might be a thing of the past! Hop into my private FB group the Interior Design Business Forum here to get my daily inspiration, lessons, thoughts of the day and let the community help you become an actionable entrepreneur!! Follow Nancy on Social Media! 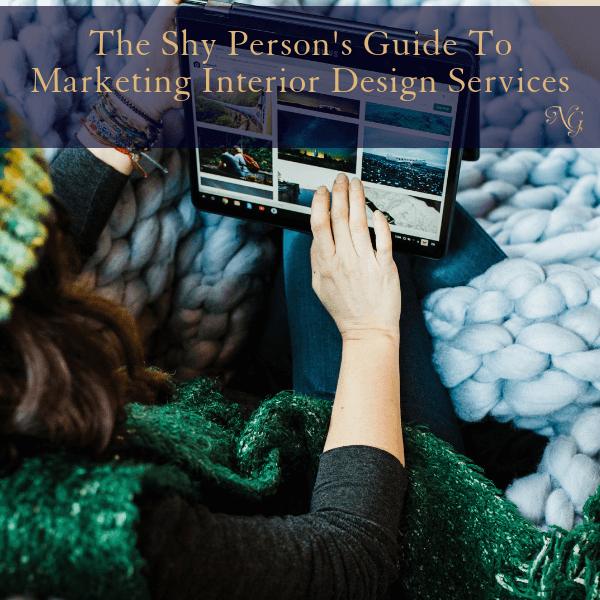 Nancy is a sought-after Business Coach to Interior Designers and an expert in topics like marketing, sales, profitability, and systems for your Interior Design Business. She teaches designers how to have the confidence to charge what they are worth, how to succeed in sales without feeling sales-y, and how to authentically position themselves in their market for maximum visibility. In addition, Nancy is the founding President of the IDS Virtual Chapter and Executive IDS Board Member-at-large.